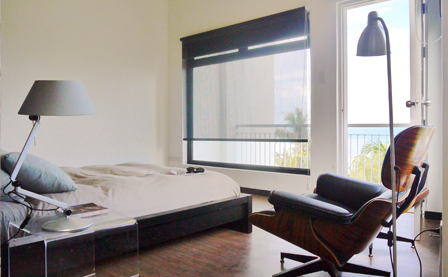 Enjoy a stylish retreat by choosing to stay in LuxeView Boracay. Each guestroom is designed for youthful, fun-loving travelers, with interesting prints or artwork instead of generic accent walls and furniture. This is balanced with minimalist influences to create a relaxing — but not boring — ambiance. LuxeView Hotel ensures that the reception will be open to assist guests 24/7. The complimentary breakfast can be availed here. Breakfast is plated and not buffet. Breakfast is from 7:30 AM to 10:30 AM. The restaurant serves Filipino and American Continental food and is open from 7:00 AM to 9:00 PM daily. Guests can lounge at the hotel’s manicured lawn and landscaped garden at all times. LuxeView Hotel has dedicated a shuttle for the guests’ personal uses. Guests can use the shuttle to take them anywhere in the island for a fee. The shuttle will also be available to pick up and drop off guests to and from D’Mall every hour for free from 9:00 AM to 9:00 PM. 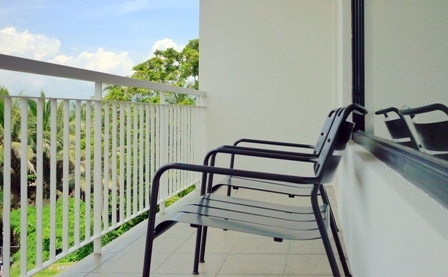 LuxeView Hotel provides guests bicycle rentals. 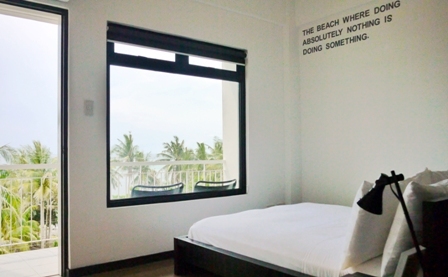 For inquiries and bookings of LuxeView Hotel in Bolabog, please visit their website http://www.luxeviewhotel.com, it is a newly built hotel located just 100 meters away from Reef Riders Windsurfing Center.